Mustang, Challenger, Charger – and some high-powered imports – dominate 2014 NY Auto Show. 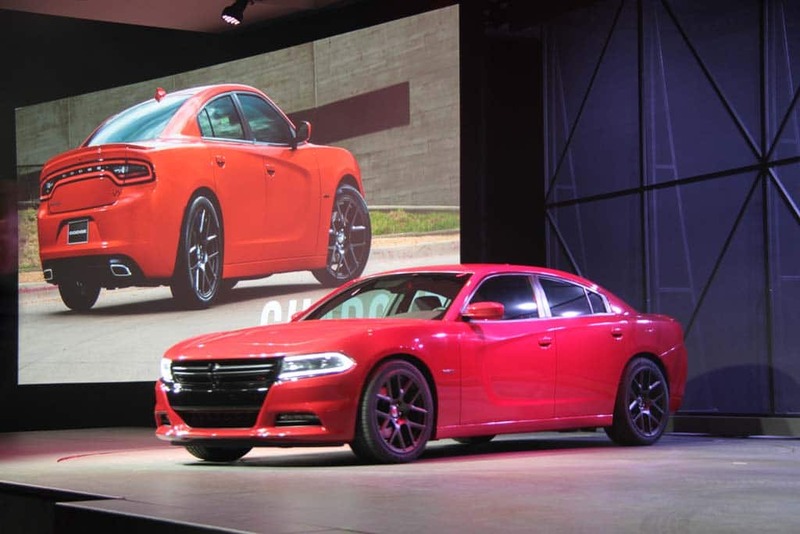 Yes, it has a Hemi, the newly updated 2015 Dodge Charger is one of many new models muscling in at the New York Auto Show. Marking the 50th anniversary of its original introduction at the 1964 New York World’s Fair, an all-new Mustang is waiting to greet visitors at the NY Auto Show opening this week. But Ford’s redesigned pony car isn’t the only offering putting the emphasis on performance at an annual event that had, in recent years, been more focused on battery cars and other green machines. While there are a number of new, fuel-efficient products on display, muscle cars have muscled their way to dominance on the floor of the Jacob Javits Convention Center on New York’s West Side. 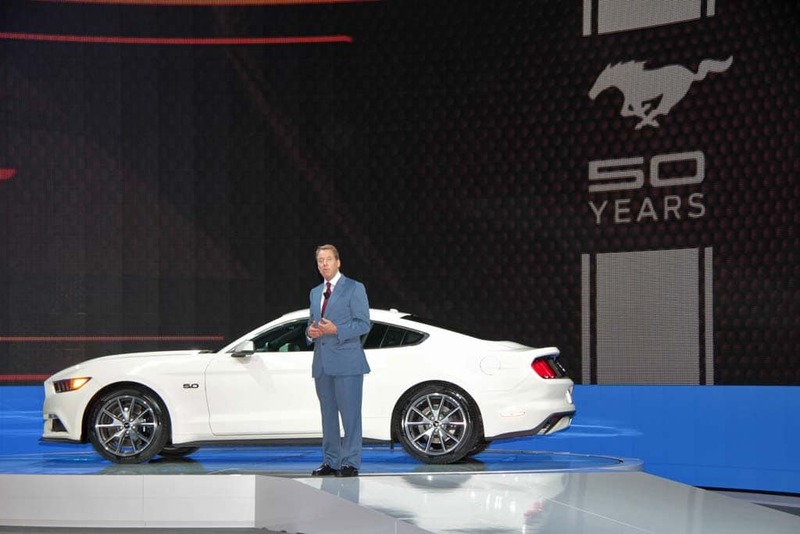 From Detroit, there’s not only the new 2015 Ford Mustang, but a pair of muscle cars from rival Fiat Chrysler’s Dodge Division. And General Motors, which had a hit with the all-new Corvette Stingray shown in NY last year is back with the upgraded Chevrolet Corvette Z06, which is expected to add nearly 200 horsepower – coming in at an estimated 625 hp – when it reaches showrooms early next year. Ford Chairman Bill Ford stands beside the 50th anniversary Ford Mustang. Only 1,964 copies of the limited edition Mustang will be made. 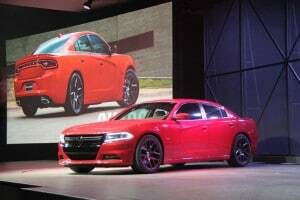 According to Tim Kuniskis, the head of the Dodge brand, which is showing off updated, 2015 versions of the 2-door Challenger and 4-door Charger models, the need for speed has never gone away, despite gasoline prices that are averaging in the mid-$3-a-gallon range across the nation. The company’s research suggests that about 4.5 million Americans, better than one in every four of the estimated 16 million expected to buy a new vehicle this year, will put performance at the top of their shopping lists. That’s certainly good news for Detroit, which continues to draw some of its biggest profits from performance-oriented products, whether muscle cars like the new Mustang GT and the Dodge Charger and Challenger pair, or heavy haulers like the latest Chevrolet Silverado pickup. But as with more mainstream market segments, domestic makers don’t have a unique lock on performance these days. There are plenty of bulked up import offerings at the 2014 New York Show. In fact, the most powerful model at the show comes not from the U.S. or Germany but Sweden, in the form of the Koenigsegg Agera. It offers an assortment of models making at least 1,000 horsepower – no typo, there – with the One:1 Mega topping out at 1,322 horsepower. The price tag, incidentally, is an equally astounding $1.4 million. By comparison, the new Mercedes-Benz S63 AMG AMG 4Matic Coupe might seem a relative bargain. Actually, the German maker hasn’t yet set a price, though the 2015 model is expected to come in a fair bit above the price of the ultra-luxury performance car it replaces, the old CL63 AMG commanding a “base” $154,000. 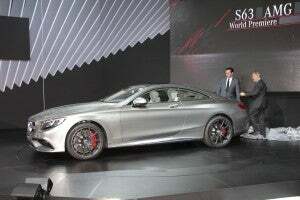 For the money, the S63 Coupe will be making 577 horsepower, or 97 more than the DTM-class race car Mercedes fields. And it produces a full 664 pound-feet of tire-spinning torque, 31 more than the typical entry into the NASCAR series this year. That will be enough to propel it from 0 to 60 in 3.9 seconds, despite its heft, and a top speed in the neighborhood of 200 miles an hour. Of course, a Mercedes has to deliver more than just straight-line acceleration, so the S63 Coupe introduces a new technology dubbed Curve Tilting Function, which “leans into curves like a motorcycle rider or skier,” explained Tobias Moers, CEO of the maker’s performance division, AMG. Meanwhile, the big coupe has plenty of more traditional luxury accoutrements, including seats that can deliver a “hot stone-like” massage. BMW board member Ian Robertson behind the wheel of the new M4 Convertible. Mercedes’ rival German maker BMW had so many new products to debut during this past week’s auto show media preview that it could barely get through the list. 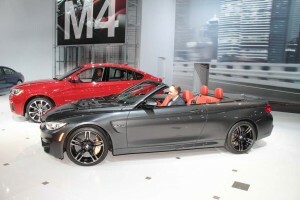 And most put a premium on performance, including the new B6 Gran Coupe and the M4 Convertible. 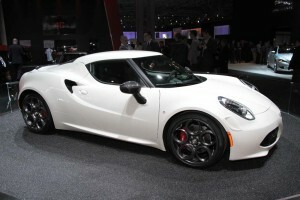 Meanwhile, the New York Auto Show saw the introduction of a new, performance-oriented brand. Make that the return of a once-familiar marque, Alfa Romeo, which is re-launching a U.S. sales channel for the first time in two decades. Curiously, Alfa opted not to stage an official press conference during the show’s media preview, but officials were on hand to discuss the new 4C sports car that will herald the brand’s return. The car’s mid-mounted 4-cylinder engine, at just 1.7-liters displacement, is smaller than what you might find in some current economy cars, but turbocharging boosts its output to a solid 237 horsepower. And while that might not seem like much compared to other muscle cars on display in the Big Apple, it’s plenty for a vehicle weighing in at barely 2,000 pounds – and which can launch from 0 to 60 in just over 4 seconds. Now, the 2014 NY Auto Show isn’t limited to just muscle cars. There are plenty of more sedate offerings on display, such as the new Honda Fit subcompact, the all-new Hyundai Sonata, and the updated Toyota Camry. But even mainstream makers are trying to put more passion into their products – something Toyota CEO Akio Toyoda describes as “waku-doki,” in Japanese. The new 2015 Camry will now offer a sporty upgrade for its hybrid model, explains U.S. brand boss Bill Fay, because even green-minded motorists want a little fun while driving. In fact, a number of new green machines are getting sportier performance in a bid to boost demand. BMW’s new “i” battery-based brand-within-a-brand is showing off not only the fully-electric i3 city car but also an upcoming plug-in hybrid sports car, the i8. And then there’s Porsche which, countering perceptions, has been adding an assortment of hybrids and plug-ins to its model mix. That includes the new 918 Spyder, a track-ready plug-in that will produce a combined 887 horsepower, enough to launch to 60 in just over 3 seconds, while yielding an EPA-estimated 78 mpg. Of course, at a price tag of $845,000 it might take a while to recover your investment through the savings on fuel. This entry was posted on Friday, April 18th, 2014 at and is filed under Automobiles. You can follow any responses to this entry through the RSS 2.0 feed. Both comments and pings are currently closed.